Q: My 11-year-old son plays GAA. He goes to all the training but is then left to sit out the matches until the last five minutes. He doesn't want to stop going, but he is very upset coming home. He loves training but the matches are hard, as he so rarely ever gets to play. An under-10 boy played for the whole game last night while my son and a few other under-12s were left out. It's not good for their confidence. We don't have a lot of options for other sports where we live. Should I encourage him to quit before they totally crush him? David replies: What a difficult situation your son finds himself in. There seems to be a point that is reached in all clubs, where underage competition trumps underage participation. Once that happens, those players who get regular game time tend to improve, while those who get lots of time on the side-line disimprove (both in terms of skill and morale). I can't imagine that the GAA are alone in this competitive attitude that sees "good" players favoured over other committed (but maybe weaker) players. However, the approach you describe at your son's club is in direct contradiction to the GAA's own child safeguarding statement. In that document, entitled Code of Behaviour (Underage) the GAA states that: "Young players should be entitled to be afforded adequate and meaningful playing time to assist in the development of their playing skills within their own age group and in accordance with Rule." On the following page of the Code of Behaviour (Underage), the GAA states that coaches should maintain a child centred approach within which they "…recognise the development needs and capacity of all underage players, regardless of their ability, by emphasising participation for all while avoiding excessive training and competition. Skills development and personal satisfaction should have priority over competition when working with underage players." The following line states that coaches should "…ensure all those eligible to participate in any team within the club are provided with an opportunity to do so with preference given to their own age group." Clearly, many of the decisions that the coach(es) of your son's team are making are at odds with what the GAA are, by their own words, trying to promote. Some of this is, no doubt, cultural. I live in a small rural community and I see the force for good that the GAA is in our parish. I also see the passion with which all of the volunteers approach the club, at senior and underage levels. That passion is about the parish and the strength of our community, and how that gets represented on the field. It may be that the same passion and a strong desire to win underlies the decisions to side-line some players, in favour of selecting those that the coaches believe are better, for the games. Of course your son will be picking up a message that he is not as good as other children and this could have an impact on his self-esteem. Your dilemma, however, is whether the negative impact of this on your son, in terms of self-esteem, can be balanced by the sense of belonging and fun that he gets during practice. I could also imagine that a lot of his friends are shared friends from both school and the GAA and so, if he stops playing GAA it may affect his friendships too. Given that the Code of Behaviour (Underage) is in place, and should guide the decisions of the mentors and coaches, it is worth going to talk with the various people within the club. 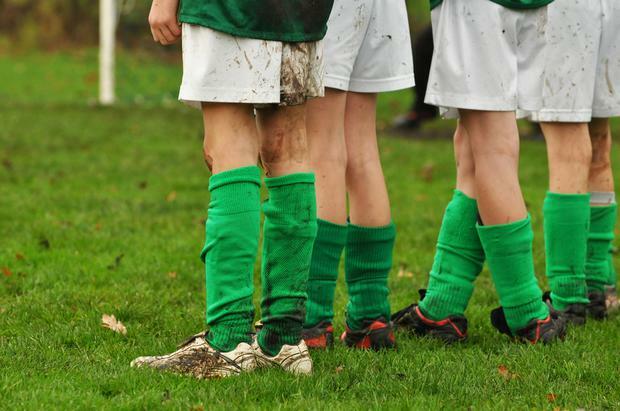 Don't just talk to the coach of the under-12s, but talk to the club secretary and Designated Liaison Person (DLP). The DLP in particular should be very familiar with the Code of Behaviour. Talk too with your son. Try to judge how big an impact the selection procedures are having on him. Does he believe the level of upset he feels at matches is balanced and outweighed by the fun and enjoyment of the training? After these conversations, it may be clearer whether the club will change the procedures on the under-12 team and if they won't, whether your son still benefits, on balance from being part of the team and the club. Dear David Coleman: My daughter pulls her hair and has big bald patches now. How can we help her?